Are you afraid to sew on leather? Don’t be. One of the most important things you need to remember is size matters. Needle size that is! Whether you are stitching heavy weight fabrics or specialty fabrics, needle size is important. There are so many different needles on the market today and since I have a leather project up my sleeve, I am going to focus on heavy weight fabrics and leathers. These needles are readily available at your local fabric shop. Just look for one that is clearly marked Leather Needles. Fabric Use– Leather, artificial leather and heave non-woven synthetics. Do not to be used on knits or woven fabrics. Leather can be an amazing fabric to work with. 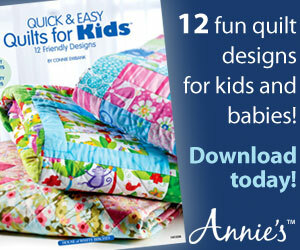 It comes in so many different colors and can be embossed for a beautiful texture. 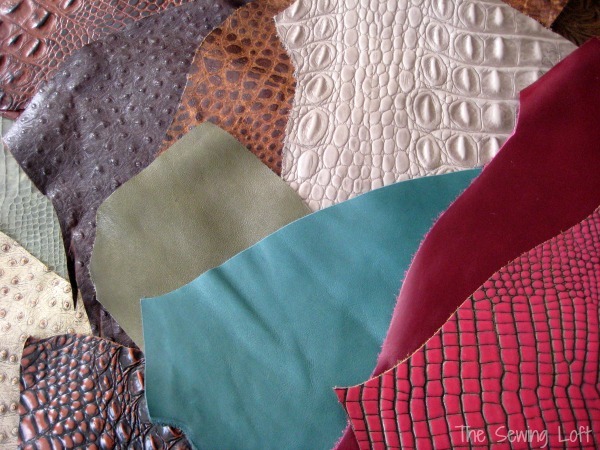 The photo above is just a small sampling of what the Leather Hide Store offers. Actually, I am so excited to share that I have teamed up with the folks at the Leather Hide Store and we put together this leather giveaway for you. 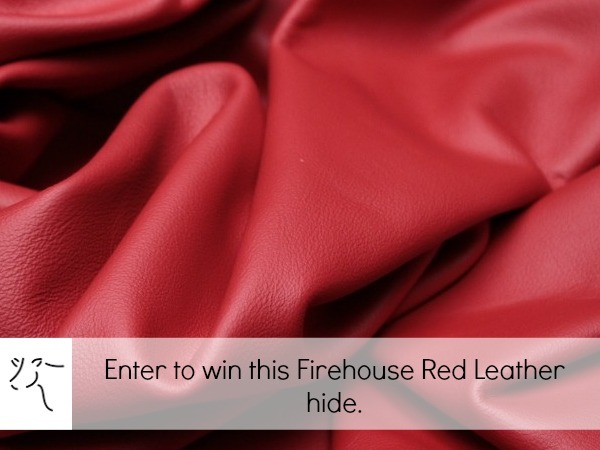 One lucky winner will receive this firehouse red hide. The color is so bright and vibrant that it reminds me of my Japanese Maple branches in the spring. I love the way they look right before the leaves start to bud. To enter, simply click the link below and follow the instructions. 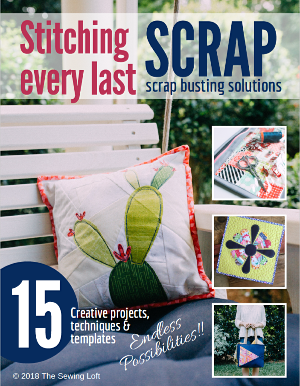 You can enter once per method, per day, and ends 3/25, 2014 at 12:00pm EST. The winners will be announced on Wednesday, 3/26/14. Thank you to all those that entered. Giveaway is now closed. Interested in diving into leather much deeper? Then you need to check out leather lessons by Sabra of Sew a Straight line. She made this AH-MAZ-ING jacket and has killer skills! 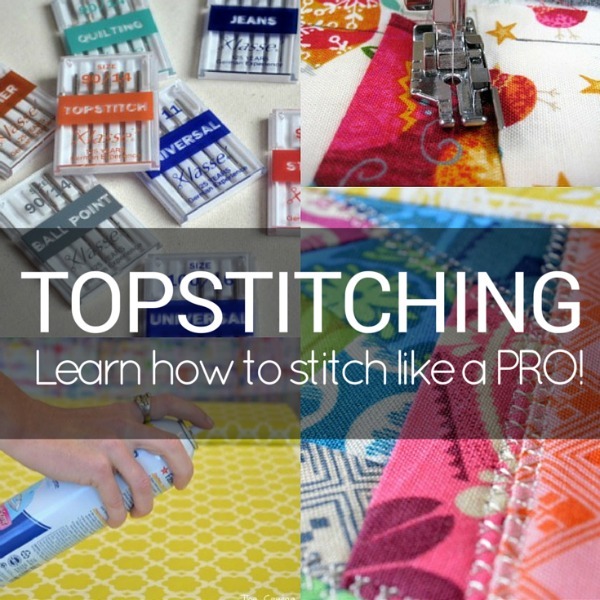 Still want to learn more about needle size & topstitching? If so, I’m glad you stopped by and hope that something has inspired you to keep your needle moving! Don’t miss a single project and subscribe by email HERE! Bonus- free embroidery pattern with newsletter sign up. Another great way to connect with me is via Facebook, Pinterest, Twitter, Google+ or Follow along with Bloglovin. I’m looking forward to getting to know you and creating together! I have never sewn with leather but as this was recently featured on the Great British Sewing Bee, I am keen to give it a go. I have never sewn with leather but would love to try. If lucky enough to win would definitely be open for suggestions!Thanks for the chance! I have not sewn on leather, just pleather. I haven’t sewn with leather but I have used -gasp!- vinyl substitutes for tool pouches and outdoor items. I have a pattern for a large quilt-as-you-go purse from a Craftsy class that I would love to try with a leather bottom. And that red would be terrific! Like many others, I have never sewn with leather, Heather! It does scare me with its expense and non-repairable stitch holes. I’d love to give it a try! Thanks so much for the shout out, Heather! Leather needles are a MUST! Sewing with leather is wonderful. I love having the flexibility to sew on even a thick leather…just be careful and don’t push your machine. Love working with leather. I make art design pillows with leather. Red leather my favorite color. Thanks for the chance. I was given a bag of scrap leather that I’m hoping will become a small clutch and matching handbag. That red would be a great base! I’d make a pillow with a big leather flower in the middle. I’ve never sewn with leather, but I love the look, feel, and long lasting qualities of leather. I have made several small pouches to wear and I have made a few pieces of art with leather and needle and thread. Thank you for the giveaway. I’ve not sewn on leather. Closest (if you can even call it close) would be an exercise ball I made using vinyl. Thanks! I have not sewn with leather before but would love a good excuse to try it out! I’ve worked with leather before but never sewn it. If I win, this gorgeous piece will become a bag of some sort. Probably a shoulder bag. I’ve never sewn with leather but I’m very interested to try it! I have only sewn vinyl and that only twice. I have sewn on leather a couple of times and hope to find a great source to buy some. Thanks for sharing. What a fun giveaway! I’d make baby shoes if I won this! I’ve not sewn with leather and I probably wouldn’t try something that needed fitting for a first try, so probably make a special bag. It would look gorgeous in that red! Thanks for the giveaway Heather. Hello, no I have never sewn with leather, but I am willing to give it a try. I would make a fabulous red tote bag first, I have an old camel jockey hassock that needs to be reupholstered and I would love to make leather bracelets. Thanks for a great giveaway! I have never sewn with leather but I have sewn with vinyl and that worked out quite well….would certainly love to give leather a go!!!! I have never sewn leather before but I plan to do a lot of it in the near future. Thank you! I’ve sewn with leather and have a few more projects I would like to sew with leather. I would love to incorporate this in a jacket I want to make. I’ve never sewed with leather, but I’d make a cape! Love the Red Leather, beautiful! Yes I have sewn with leather and embroidered on leather. Very easy. I have never worked with leather but would love to learn. A messenger bag for my laptop is on my list of things I need to make. I hadn’t thought about making it out of leather, but that would be wonderful! Whoops! I forgot to mention that no, I have never made anything with leather, but I would love to try. I haven’t sewn on leather before and would love a chance to try. The red leather just screams PURSE to me. With a matching wallet. I have only sewn leather once before and it was many years ago. I would definitely be making a gorgeous hand bag. I’ve never sewn with real leather, however I do have several old suede and leather jackets that I could tear apart and experiment with. Thanks for the link to the tutorials. I plan on downloading them and keep them on hand for reference. The needle reference is very helpful. 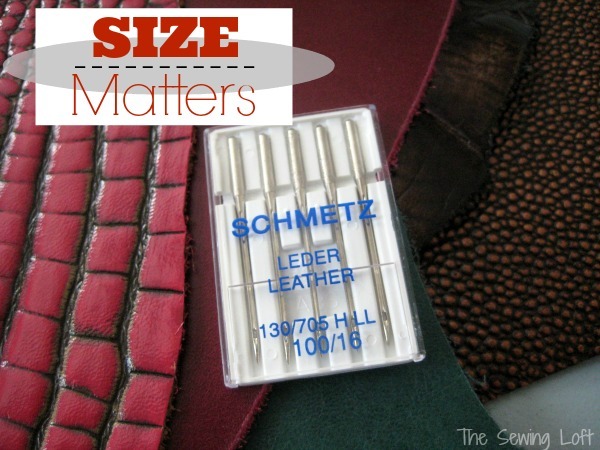 I’ve sewn leather before, except, I didn’t know anything about needle size. I worked on it using regular fabric needles, and it was a pain in the you know where(I was 13 back then). Fortunately, I learnt about leather needles and now everything’s easier.